There is a person dear in my life who on occasion drives me crazy because he is compulsively compelled to help other people. As he likes to say, why else were we put here on this earth? A man of deep faith, his favorite saint is James. I told him to tell me about James. He shrugged and said, what more is there to say than what is faith without good works. Indeed. 😉 This image of Saint James is one of two Saint James’s appearing in the the stained glass window designed by Margaret Redmond of Boston (1867-1948). 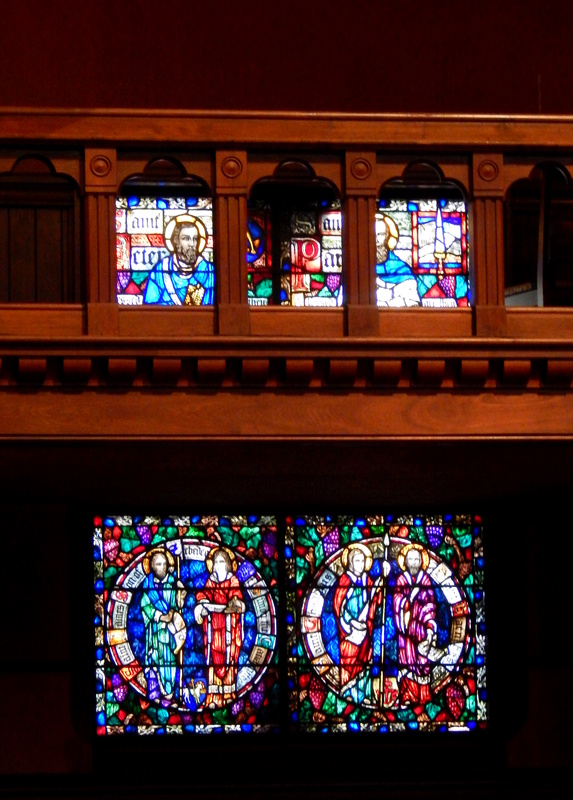 As you enter the sanctuary of Trinity Church in Copley Square, the windows are located to the left toward the north transept. In the map one receives when engaged in a tour, the windows are labeled as Eight Apostles (1927). 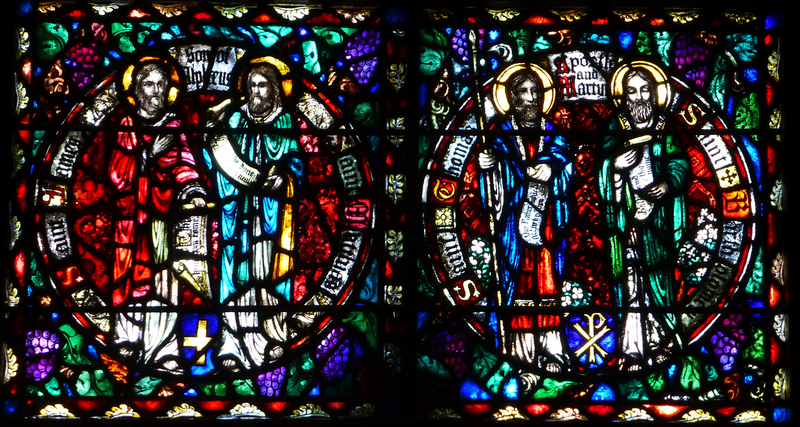 In fact, all twelve apostles are represented, but only eight are most easily seen from the floor of the church, depicted in sets of four. 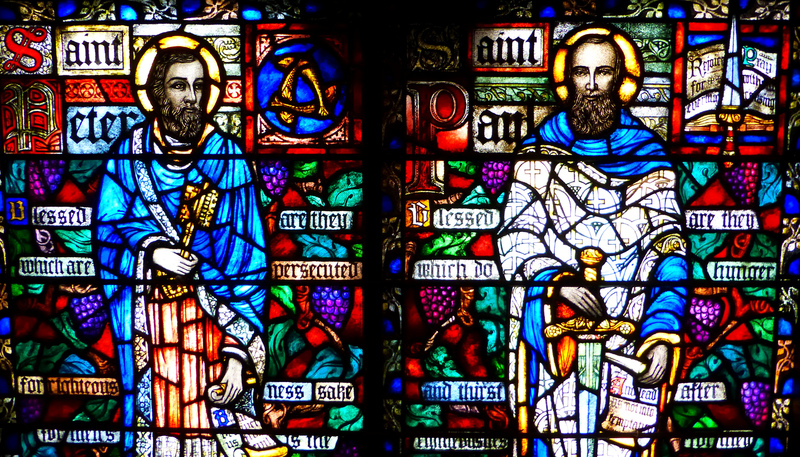 These eight apostles are James of Alphaeus, Matthias, Thomas, Bartholomew, James of Zebedee, Simon the Canaanite, Thaddeus and Simon Barnabus. 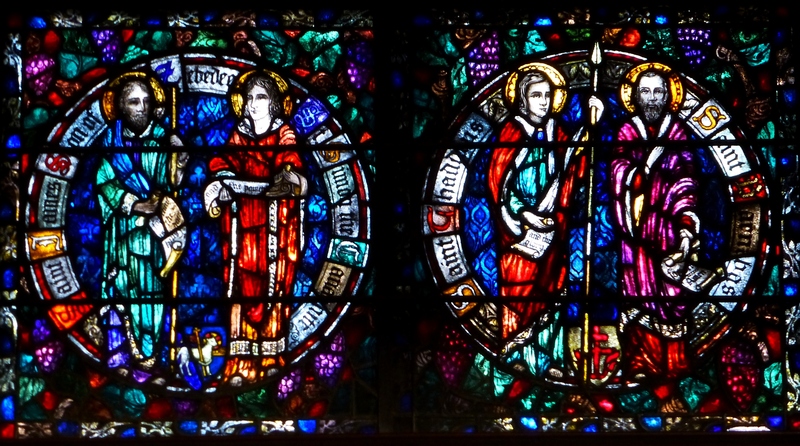 The other apostles — Andrew, Phillip, Peter and Paul — are paired above each set of four apostles. … but assorted postcards and prints capturing their details are available in Trinity’s Book Shop. What I enjoy about these windows is the explosion of colors. Regardless of time of day or even season, there is always some new detail to discover. For many reasons, they are an inspiring sight. As the spring progresses, I hope to learn more about the artist Margaret Redmond, her life and her work. As I do, I’ll be sure to share stories. Take care.